There’s nothing like the enjoyment of watching your garage door open to a gentle spring morning. Open sesame, it’s what we all say when the door opens to a brand new day full of sunshine, smells of blooming flowers and calming chirps of birds. You press the garage door opener…Open sesame… Psych! Understandably, your day may start off a little rougher than you had planned. Because of this, we’ve put together an easy-to-follow blog series that will help resolve all of your garage door repair problems. Does your garage door sound like it’s about to open, but doesn’t? This problem occurs more often than you may believe. There are plenty of other homeowners who have experienced the same problem that you’re currently encountering: The sound of the garage door motor working hard for a few seconds and quits without moving the door ever so slightly. This is a frustrating problem, and our garage door repair experts can be of service to your problems here in South LA. What you’ll have to do is check the springs on your garage door. If they don’t seem to be broken, damaged, missing or overstretched, check for obstacles in the way of your garage door. Sometimes, if you didn’t pull your car into the garage far enough, the garage door can get stuck on its way down, making it impossible to reopen. If obstacles exist, make sure you fix them before trying to open once more. If you’ve tried both of these solutions and neither have worked, make sure you’ve checked to make sure your garage door does not have a manual lock in place. If it does, unlock it. Try opening the garage door once more. If it does not fix the problem, give us a call! Call us today if you’re experiencing difficulties with your garage door! 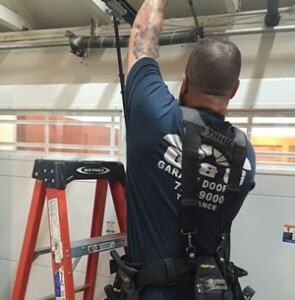 The specialists here in South LA at G&G Garage Door has the experience, dedication and knowledge you need. 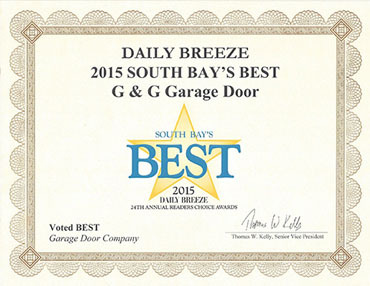 Give us a shout at 424-208-1988 if your garage door problem has not been solved. We’ll send a garage door technician over as soon as possible! If you aren’t sure what the problem is, we invite you to visit our past blogs. 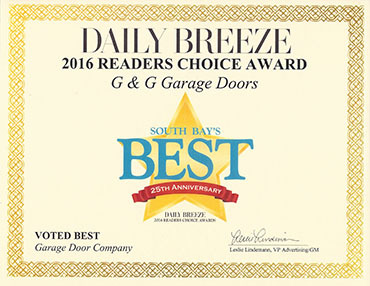 Recently, we’ve given readers ways to check their garage doors. Read this blog to learn how to troubleshoot garage door problems instantly! 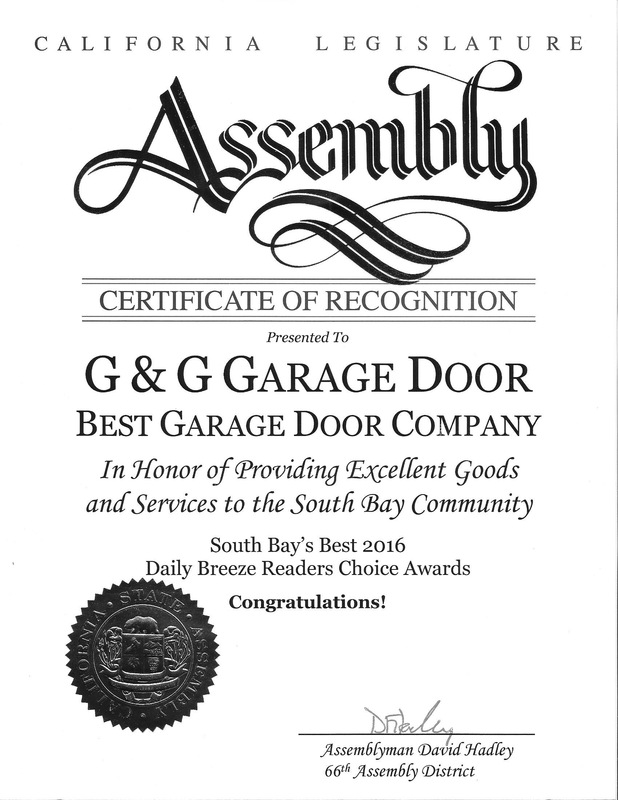 G&G doors have constantly been voted South Bay's Best! Homes with new garage doors have a higher resale value. We know you take your security seriously, and so do we! You will have the quietest garage doors! Homes with new garage doors look 40% better based on California Curb Appeal Association. Great for the environment & FREE of charge! G & G Garage Door Co.